Great job! You have decided to become a teacher. Teaching is a career that is meant for an exceptional set of individuals who have the calling to change lives. The following steps will help you become a teacher in New Jersey. Special education? Elementary, middle, or high school? Before you actually start studying to become a teacher in New Jersey, you need to consider which grade level or subject(s) are right for you. Depending on the area you choose, New Jersey has specific prerequisites for becoming a teacher. New Jersey, as all states, requires a minimum of a Bachelor's Degree in order to become a teacher. Teachers must also complete a teacher preparation program. The degree must be from an accredited college or university. Most colleges and universities offer what is known as a blended or joint program. This means that upon completion of all required classes, fieldwork, and passing test scores, you will receive both a Bachelor's Degree and a teaching license. This is wonderful for those who know from the beginning that they wish to be a teacher. Public school teachers must have a teaching license in order to teach. To gain licensure, a teacher preparation program from an accredited college or university must be completed. In order for a college to be accredited, it must be certified through CAEP, formerly NCATE and TEAC. If you choose this traditional route, you will likely graduate with a certification and a Bachelor's Degree. A teaching candidate must complete at least 60 liberal arts credits, be a liberal arts major, or a science major. In addition, an endorsement in a specific subject area is required if grades 5-8 are the desirable teaching areas. A minimum of 30 credit areas in an English program, including a minimum of 12 advanced class hours are required for this certification. A minimum of 30 credit areas in an Mathematics program, including a minimum of 12 advanced class hours are required for this certification. In order to become a certified teacher of Science in New Jersey you must complete a minimum of 30 credit areas in the field of Chemistry or Physics with 12 of those hours being at the advanced level. In addition, 15 full hours of credits must be gained in physics, mechanics, electrical engineering, thermodynamics, mechanical design, chemistry or biochemistry. An alternative route to certification is available in New Jersey. This option is for people who already have a four year Bachelor's Degree but have not completed a teacher preparation program. 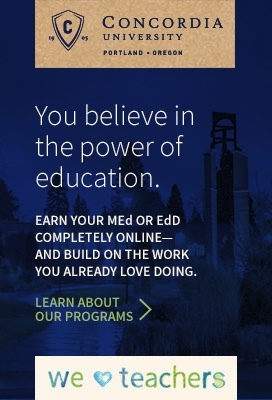 You will not earn a new degree with this program, just certification. To apply, one must meet all the requirements of the Office of licensure and Academic Credentials (OLC). Recent changes also require that potential candidate complete 24 hours of formal instruction prior to gaining a certificate. Completing all the steps will lead to a provisional license with a mentor and formal instruction while on the job. The next step to becoming a teacher in New Jersey is passing the necessary tests. A basic skills test that is approved by the Commissioner must be taken in order to receive certification in New Jersey. The Praxis CORE Academic Skills for Educators Test can be taken to fulfill the Basic Skills Test requirement. However, a score of 1660 or higher on the SAT, 23 or higher on the ACT, or at least a 4 on the analytical writing section and a combined score of 310 on the GRE can also be used. All New Jersey teachers will need to pass the subject specific/specialty area PRAXIS II exam for the grade and/or subjects you wish to teach. There are study guides and practice tests available for each version of the test. To make sure you have signed up for the correct test(s), you can talk with your school counselor or advisor. The test is comprised of multiple choice questions along with constructed response essay questions. If applicable, a letter detailing any years of full-time teaching or administrative experience. This should include specifics of the job and be on school district letterhead, signed by the appropriate officials. Official college transcripts with a degree conferral and GPA listed. A 3.00 or in some cases a 2.75 or above with high PRAXIS scores is required. Applicants must take and pass an examination on physiology and hygiene or show proof of basic military training in the study of biology, health, or nutrition. If you have completed certification and received licensure, then you are ready to begin your career as an empowering educator in New Jersey! 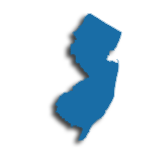 Like other areas of the country, New Jersey is experiencing shortages in language, math, and sciences teachers, as well as those qualified to teach special education. In order to combat this trend, the state of New Jersey makes an active recruitment attempt for certified and passionate candidates through the Department of Education website and an auxiliary website, www.njschooljobs.com. When hired, public school teachers can join a union such as the New Jersey Education Association (NJEA) or the American Federation of Teachers New Jersey (AFL-CIO), both of which offer support and advocacy to their members. Teachers in New Jersey have comprehensive benefits while working. Upon retirement, they or their surviving family members are able to draw from the Teacher's Pension and Annuity Fund - State of New Jersey. In addition to pursuing a career in a public school, teachers may wish to apply to any of the state's 1,536 private schools. With ratios that average 11 students per teacher, teachers may find private schools to be a comfortable transition to full-time teaching. Applying for a private school usually requires the candidate to apply directly with the school. The table below lists the number of public school teachers in New Jersey by grade level during the 2012-2013 school year. There are more than 1,130 private schools with an estimated 15,200 private school teachers in New Jersey. The table below details the number of teachers by grade level during the 2011-2012 school year. In the field of education, professional development opportunities occur throughout the system, including but not limited to support staff, teachers, paraprofessionals, and administrators. Professional development initiatives are driven from the top down - first nationally, then state-wide, then district, then school, and finally classroom focused. New Jersey teachers utilize a variety of platforms and formats to ensure that their professional development needs are met. Among their options are online courses/ webinars, peer-led conferences/in-services, and administrator/facilitator presentations. The state Department of Education in New Jersey has issued an updated set of guidelines to help teachers meet the state's needs for highly qualified teaching professionals. Teachers must achieve 20 hours of professional development each year, according to New Jersey's Standards for Professional Learning. The PD offerings must be of high-quality and lead to effective teaching practices and build leadership capacity. Teachers with questions meeting New Jersey's stringent guidelines are encouraged to review their school district's copy of the New Jersey collaborative professional learning toolkit. While a master's degree is not required to teach in New Jersey, earn a master's in either instruction or a specific subject, and you'll broaden your professional opportunities, improve student outcomes, and position yourself for job stability and a higher salary. Plus, completing courses toward your master's degree may also help you satisfy the requirements of your annual Professional Development Plan. As a new teacher, you'll apply for a two-year Certificate of Eligibility with Advanced Standing (CEAS). Then, once employed, your employer will request a two-year Provisional Certificate from the Department of Education. During this time, you'll complete the Provisional Teacher Process (PTP), which involves evaluation, support, mentoring, and supervision through your district. Then, after two years of teaching and the successful completion of the PTP, your district will recommend you for a Standard Certificate. The Standard Certificate is considered permanent and does not need to be renewed. You'll still need to meet the requirements of your individual Professional Development Plan (PDP), which must involve at least 20 hours of annual learning. While there are a variety of ways to earn the 20 PDP hours, pursue a master's degree and you may be able to satisfy some or all of these requirements. You may also enjoy a higher salary with a master's degree on your resume. For example, bachelor's-prepared educators in the Trenton Public Schools earned a minimum salary of $55,515 in 2016-17, while those with a master's degree earned a slightly higher minimum salary of $57,065.